I love crits and fumbles. They're the bomb. Swingy combat, massive potential for my DM plans to be screwed up, and all around good old fashioned gore. Plus, crits and fumbles generate table stories like nothing else! Trouble is, if I just make up additional effects myself I can't help but rule in their favour. I'm a huge softie. And if I introduce something like this, I want it to apply to the enemies too. It's only fair. Nat 1 or nat 20, you have to roll again to confirm. Fighters get to add their level to the confirm roll because they're fighty. This means fighters never choke on their crit confirms and never double-fumble on their fumble rolls, which seems fine to me! 1 : You really fucked up this time! Roll twice on Fumble table. 2 – 10: Roll on Fumble table. 11 – 19: Regular miss. 20: Recover! Reroll to hit. 1 : Roll damage as normal – You choked! 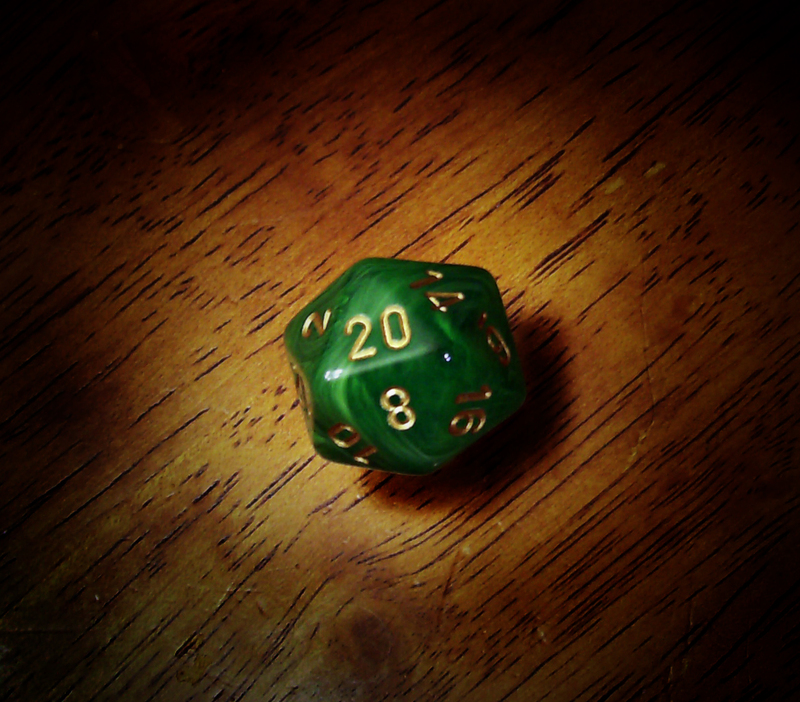 20: Roll twice on Overcrit table – MASSIVE DAMAGE! Then if you lucked out (or fucked up) you get to roll d100 on the bigger tables! Half weapon damage to target. 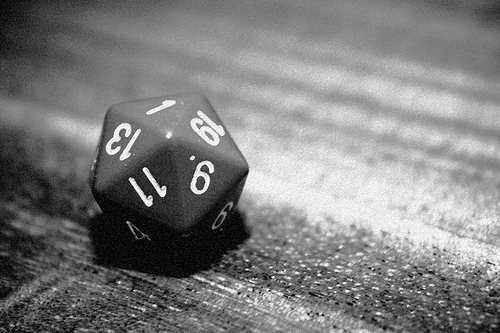 Sacrifice action to untangle – 1-3 on a d6 for success. Dex applies. Quarter damage to you and target, weapon broken. Hits a random combatant. Full damage. Full damage to self, +d4 to attacks against you next round. Roll twice on this table. Rolling this again stacks. Max damage, plus reroll damage and add to total. Max damage, random leg useless. Enemy crippled. Max damage, random arm useless. Stuff in hand dropped. Max damage, enemy attacks at -d4 for d4 rounds. Max damage, enemy armour takes two Notches. Max damage, enemy stunned, prone, -2 to attack/damage, -2 AC. As Huge Hit, plus keep rolling attacks against target until you miss. Roll twice on this table, rolling this result again stacks. This was all made a long while ago and originally pertained to 4e so the results are a bit hokey now. Between this and the Hack & Slash death crit table, I sure do see a lot of injuries!